Any business owner who prints in-house, especially those with heavy demands on their printers, knows the frustration of having to have enough ink on hand. But there is more. There is replacing the ink cartridges or, if you are adventurous, refilling them. If you have a multicolor cartridge system, you will eventually run out of just the color you do not have waiting in your supply room. Epson may have the solution with its new model of printers that have ink tanks instead of cartridges. This may be cause for an office party all by itself. Steve Jobs would have likely been impressed. The new line of printers are known as EcoTank, a solution with an environmental slant to it. The specific models, the L355 and L555 are refilled by using squeeze bottles of ink that are said to supply the printer for two years. That is based on the average user, though average for a business has not been defined. For about $32 you get a 70-milliliter bottle of ink. Compare that price with the $30 cost of a single ink cartridge. While all this sounds great, the reality is that there is only one company manufacturing these kinds of ink reservoirs, and just two models of the printer available. The question is when will they become available to the average small business and what is the delivery time? But perhaps the biggest problem is, what are businesses going to do with all their existing inventory of ink cartridge printers? For some small businesses, making the switch is a no-brainer because their printing volume justifies the conversion expense. Businesses with a minimum of in-house printing are likely better off staying put and waiting a few years. Another consideration is maintenance contracts. 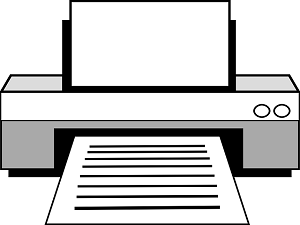 If you do not have Epson models covered in your contract, there may be an extra cost to modifying or cancelling your existing service agreement. If you are near the end of your agreement, then a decision has to be made regarding the future of your printer operations. Much of this seems an odd direction to go in, given that print cartridges have been the standard for more than a decade, and printers haven’t really changed much in their functionality. Looking ahead to the future of printers, will larger capacity tanks result in changing the features and in-house functionality of printers? The tendency of technology is that a major change in one area will surely result in changes in other areas. Cell phones were just phones until Apple put an interface on them. Televisions were viewing screens until they became digitized. Printers just printed until they evolved into all-in-ones. It doesn’t take much. Consider if the physical size of the printer increased because of the larger ink capacity. Added features would surely drive up the price of a larger printer, but when would the functionality exceed the usability of such a printer in a small business environment. Bigger is not always better. The evolution of the home and small business printer is leading us towards the necessity for more decision making. Standing pat for the short term until this new technology has a definite direction is a simple and good business strategy. These changes in printer technology are definitely something to be excited about, primarily because it’is not just another bell or whistle added to an existing technology. Saving money and adding simplicity are not usually packaged together in today’s marketplace. For the end user, the choice is all about the timing of the change.